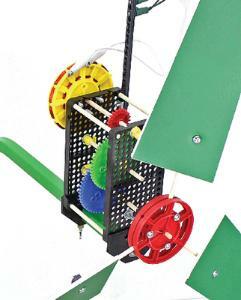 The TeacherGeek Geared Wind Turbine affords you the opportunity to apply your understanding of wind power energy generation. 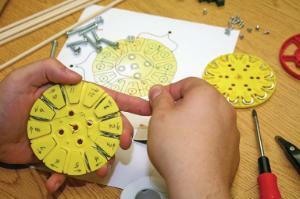 Building this turbine will provide enough energy to power lights or even run a hobby motor. 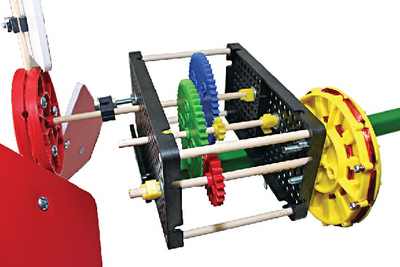 The gear box assembly increases the rpm and therefore increases the amount of power generated. 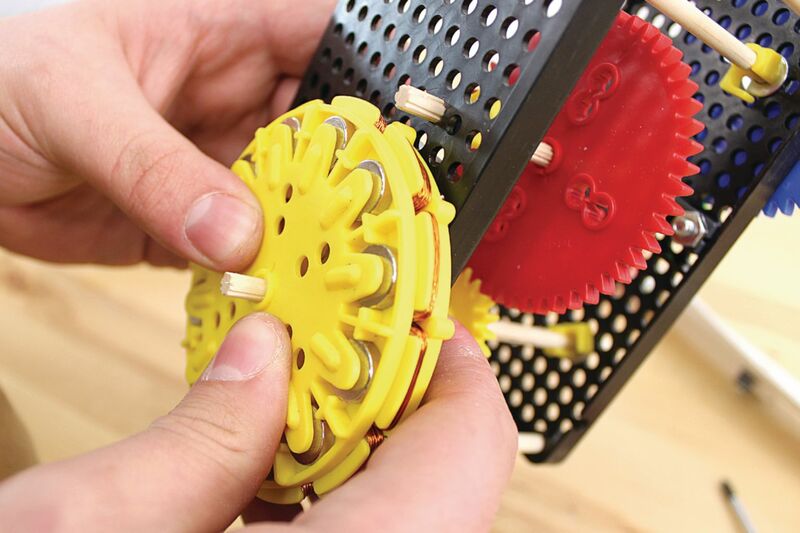 Reengineering the gear ratios changes the power output. Also, the amount of electricity generated can vary by redesigning blades and alternator coil wrap patterns. 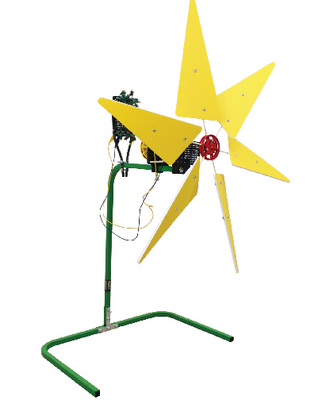 Build your wind turbine with alternator components, hub assembly, gears, hole plates, dowels, hardware and additional found materials. A stand is necessary. Purchase either the Bench or Wind Turbine Stand. 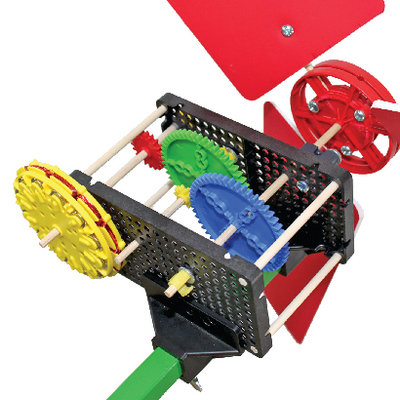 The TeacherGeek Wind Turbine is comprised of four main components: The alternator, hub, blades and the gear box. The alternator, consisting of the stator and rotor, develops electricity. It can be configured to create multiple phase outputs. The stator is the part of the alternator that does not rotate. The stator has twelve "teeth" which wire can be wrapped around to create endless coil configurations. An electrical current (electricity) induced in the coils as they pass through the magnetic fields of the rotor. The back of the stator has screw post terminals for connecting stator coils to test leads. 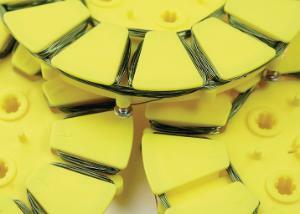 The hub securely clamps blade shafts while allows quick and easy adjustment. To gain more power we add the Teacher Geek gear box. Blade shafts are included with our wind turbine kits. To make blade surfaces, just add corrugated cardboard, plastic packaging or other material you have on hand!